Parking may be available to patrons on performance evenings in Saint Patrick’s Trian multi-storey car park. Simply follow signs for The Market Place Theatre, Saint Patrick’s Trian or The Tourist Information Centre. The Theatre is situated at the top level of the car park, although parking is available on all levels. 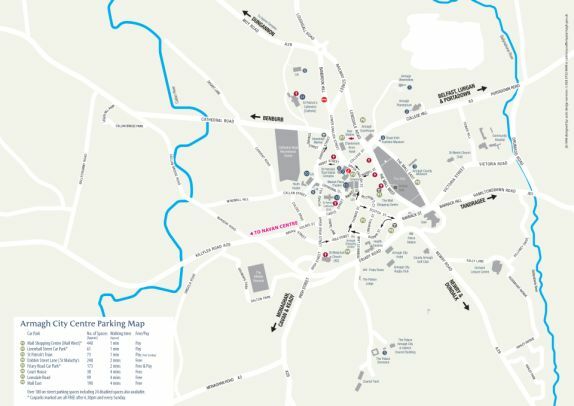 On-street parking is also available nearby, at The Mall and Sainsbury’s Car Park.